A simple, solid rig for outdoor use during Holidays. More is possible with this solid QRP rig than you should expect. Just try it and do not give up soon! It is designed for the Barefoot Hiker. His life style is Back to the Basics and that is indeed what Barefoot hiking in nature and working with the HIS transceiver are. HIS is the abbreviation for He Is Simple! "MY TRX" is indeed my transceiver. 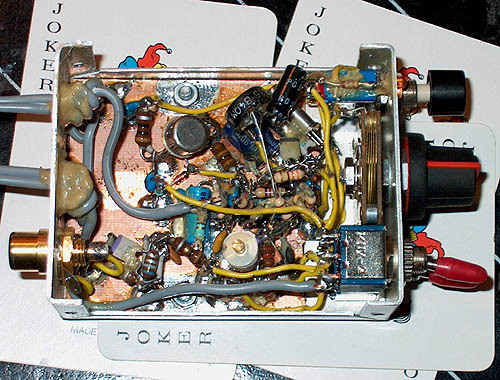 It is not a perfect transceiver, but good enough for a lot of perfect QSO's. The transceiver has general coverage reception from 1.8 to 30 MHz. The building of an HF phone rig today isn't shurely a simple job, however I'd like to propose an easy-tomake project, suited for portable or emergency use. This project is in homage to the colleague SK PY1AFA, GIL (Gilberto Affonso Penna) was director of our main Ham magazine. The name MUSTACHE (BIGODE) is because the Gil exhibited a great mustache. Continuing our assemblies with the BIGODE, we showt here the triband version. The choice of the bands was in function of the antenna that we have at the moment and had been 3 bands due the amount of keys 2 poles 2 positions to be used. 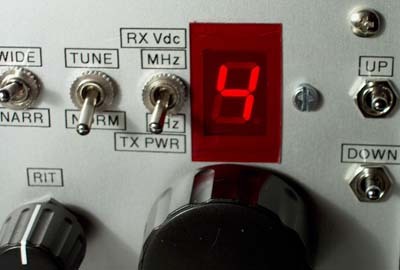 Most home-built QRP transceivers cover a single band, for good reason: complexity of the circuit and physical layout can increase dramatically when two or more bands are covered. The transceiver got its name during the Dutch ‘night owls’ net. We all know the expression 're-inventing the wheel'. People thought Fred (PA0MER) was re-invented the wheel. In this case a transceiver using techniques of the past. 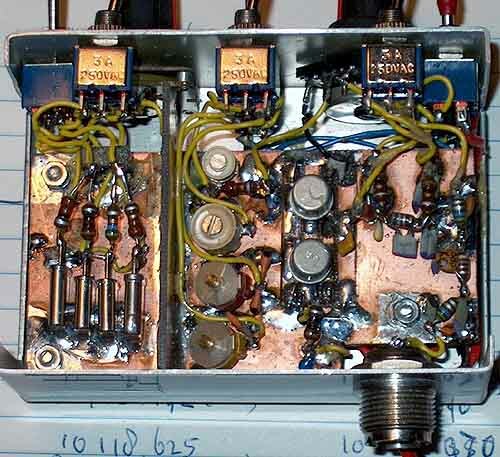 My criteria was: - Basic single tube (dual triode) Frank Jones "One Tuber" design point from 1935 for the receiver, but add an RF amp for isolation to prevent uneccessary radiation.